Welcome emails are a great way of introducing yourself or your business as soon as someone signs up on one of your forms. To set up a welcome email that is automatically triggered from one of your WIshpond campaigns, first go to email automation tab from the top left of the editor. 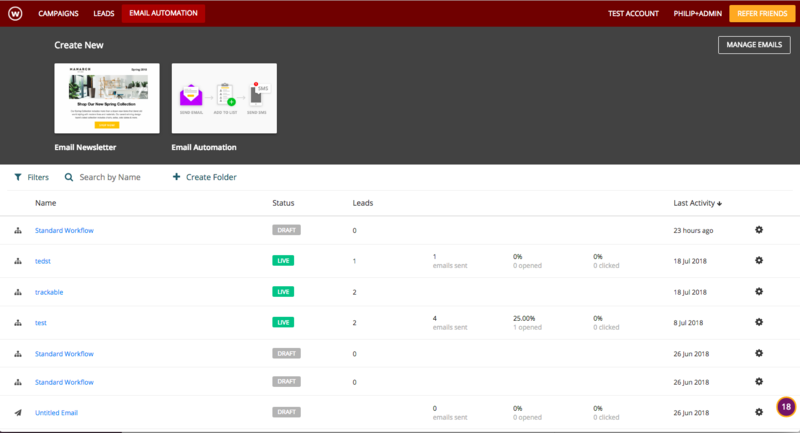 1)Then, Click “Email automation” on the left side of your marketing automation dashboard. 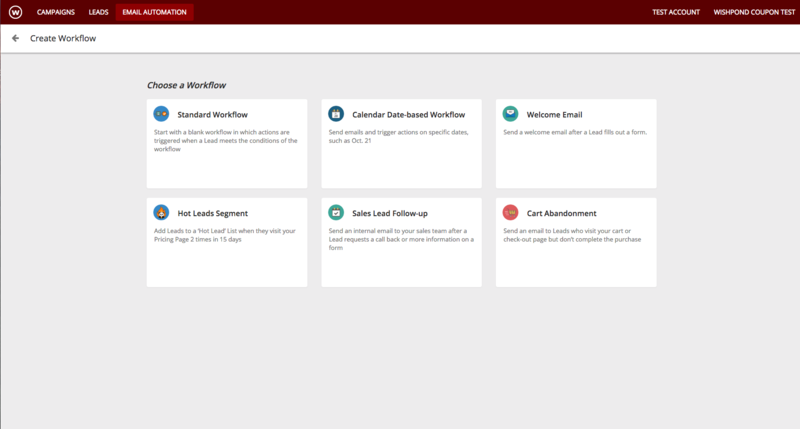 You can first create your emails first via "manage emails" tab on your right, but any email needs a workflow to be actually delivered to your customers. Think of it as a bow and an arrow. You would need a workflow (bow) to fire your arrow (emails). 6) Select the email you want to trigger. If you do not have the email made, you can click “create new email” on the right. You have successfully set up an automated welcome email!